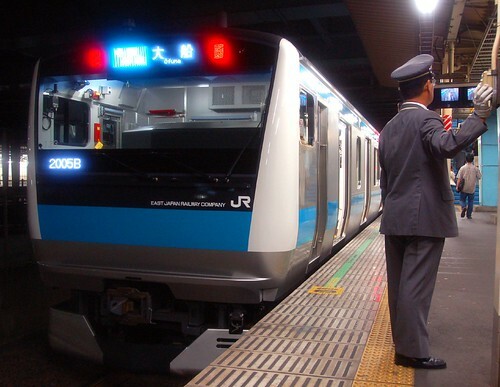 The Narita Express train from the airport arrives on track #1. 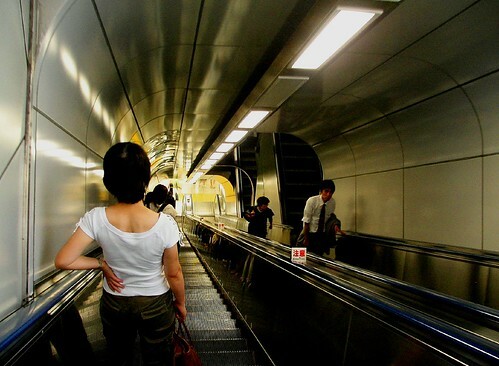 Take the escalator to basement level 4. 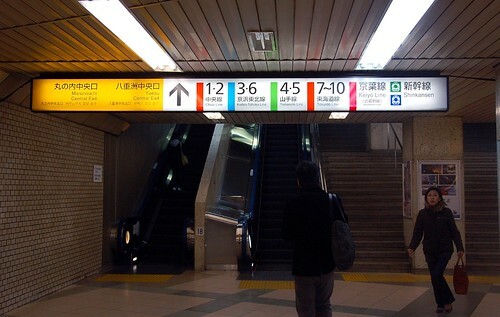 Next, take the escalator to basement level 1. 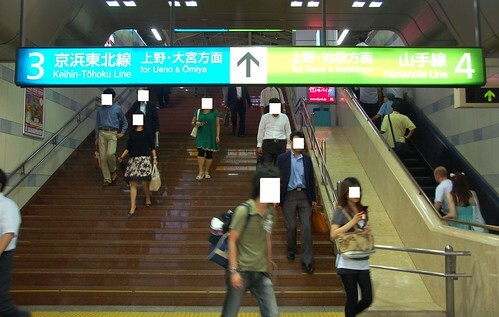 Take this one to the ground level. 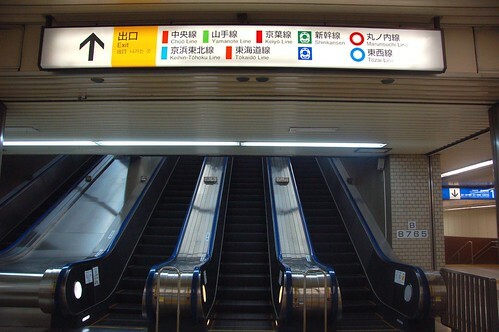 Finally take this escalator leading to the elevated Chuo Line track. 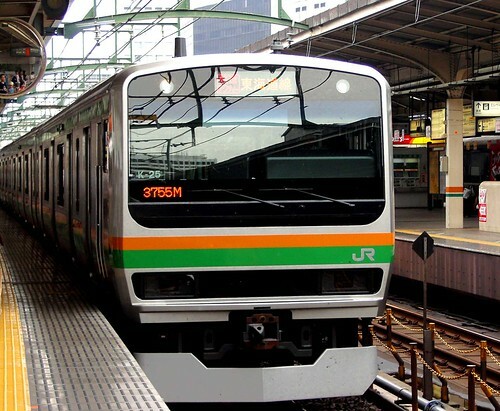 This is a Chuo Line train. 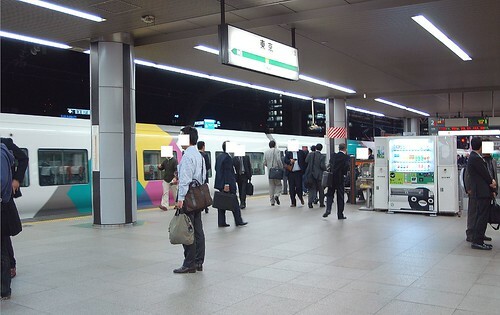 Chuo Line platform at Tokyo Station. 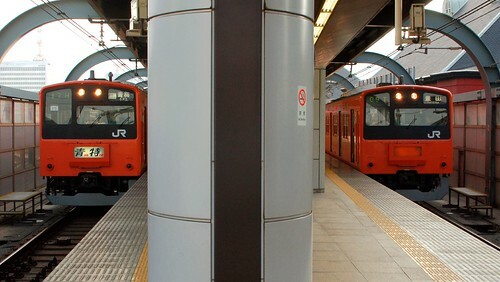 The orange color trains are nearly switched to the new type ones shown above. 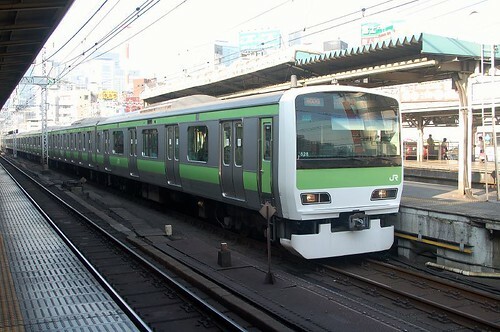 Only a few old units still run. 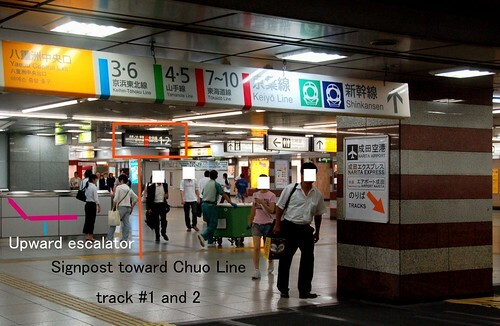 Even though you need to take the escalator 4 times to get to the Chuo Line track, the transfer itself is very simple. 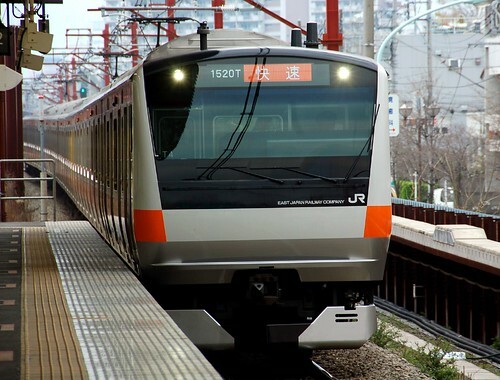 Those heading to Shinjuku from Narita Aiport are recommended to change trains to Chuo Line at Tokyo to get to Shinjuku and to avoid 500 meters' walk at very busy Shinjuku Station. 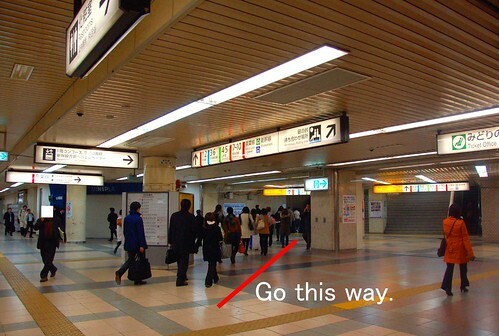 The location of the Narita Express platform at Shinjuku is quite isolated and inconvenient. 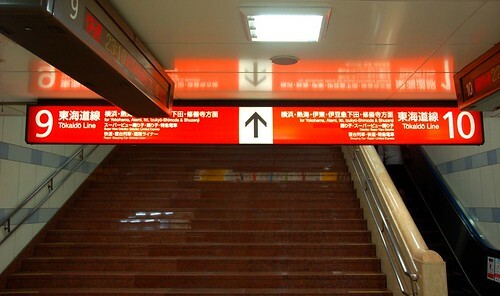 Proceed more, then you'll find this signboard. 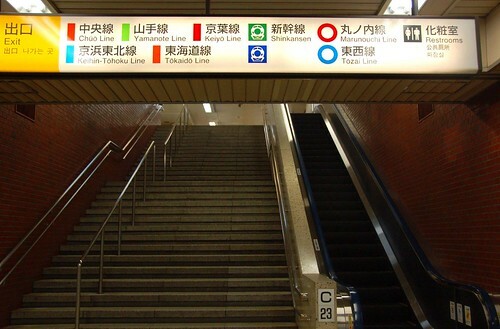 Go upstairs to the platform.